Deborah is a Certified Public Accountant with 28 years of management and taxation experience. She currently leads a team of tax professionals responsible for tax planning and preparation of tax returns for individuals, small businesses, non-profit organizations, partnerships, trusts and estates. 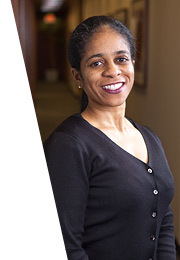 Before starting her own company, she worked as the director of the tax department for Willams Adley and at Hood + Strong, LLP CPAs in Tax and Advisory assisting clients with estate and gift tax planning and consulted small businesses on international and domestic tax issues. She also worked as a sole proprietor managing a tax business and had a 16-year career with the Internal Revenue Service including nine years managing numerous district tax compliance programs. Deborah has conducted Fortune 500 and other multibillion-dollar entity IRS audits and has represented taxpayers during audits and assisted with resolving taxpayers’ IRS and state income tax problems. She holds a Master’s degree in Taxation and Bachelor of Science degree in Accounting.